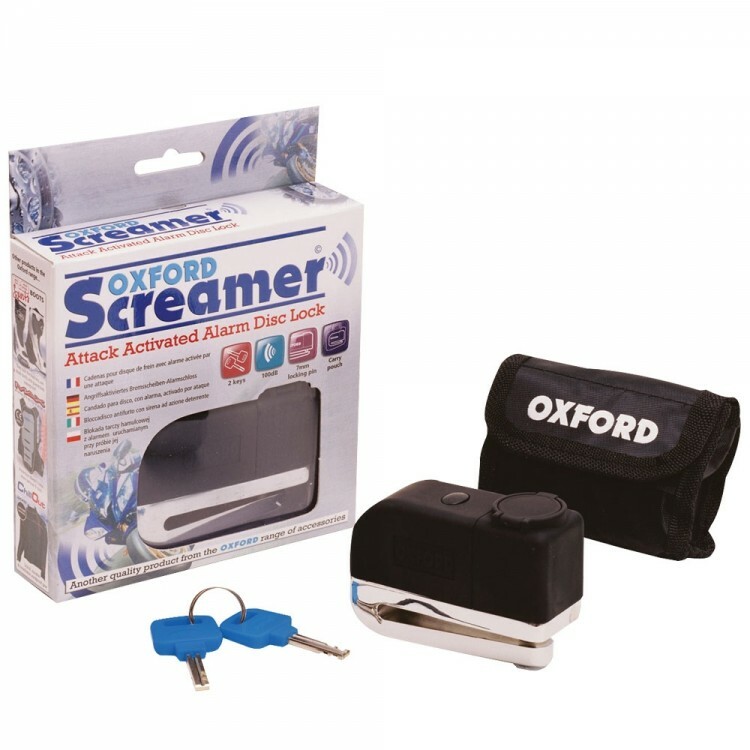 The Oxford attack activated screamer alarm disc lock doubles as disc lock comes with three keys and key replacement service. Keep your key number in a safe place and in the unfortunate event that you lose all your keys a spare can be made up for you. The disc lock boasts a 100dB audible alarm and has a 7mm locking pin.